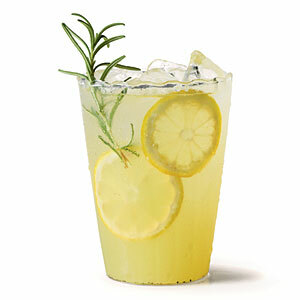 Let’s switch it up this summer and combat the heat with this refreshing Rosemary Ginger Lemonade. I know some of us can be dependent on our iced coffees, but what about something even more energizing and delicious? A cool, refreshing drink that will jump start our energy levels and contains more nutritional benefits than our old cup of joe. This Rosemary Ginger Lemonade will pick us up, cool us down and will leave us feeling stable throughout the day without the crash (will also help flush out those nasty toxins we build up over time) Try this simple recipe below, your tastebuds and body will be so very grateful! Simple syrup: Place 1 cup water in sauce pan with ginger. Bring to a boil add agave and rosemary sprigs and return to boil. Remove from heat and let cool. Mix remaining 6 cups water, lemon juice and cooled simple syrup. Keep in pitcher refrigerated. Feel free to add more agave or honey for desired sweetness. Rosemary in this refreshing, detoxifying elixir has loads of health benefits. Rosemary will help jumpstart our bodies in the morning with its powers to increase blood flow. Getting that blood pumping throughout the body is exactly what our body needs to get itself moving and gain natural energy (great for mid-day slumps too). Everyone needs a little immune booster , no matter what season it is – and rosemary will do just the trick. Rosemary also has many anti-inflammatory properties. And get this: during a long workday (when your brain is feeling a bit fried) rosemary can be your life saver with its memory boosting abilities. Rosemary also has the perk of reducing severity of asthma attacks, help cure congestion and allergies – who knew?! Ginger is the perfect pick me up because it helps jump start your metabolism and awakens your body and mind – preparing you for the busy day ahead. Along with rosemary, ginger is an anti-inflammatory and a great immune booster. For those readers that get motion sickness, ginger can ease that stomach pain and it is also great for seasickness for you adventurous ocean goers. Ginger can help fight and cure infections like athletes foot and nail infections with its anti-fungal properties. Lastly, ginger is great for digestion and helps absorb essential nutrients consumed throughout the day, don’t let them go to waste! Get your ginger in. Lemons are made up of citric acid that allows the breakdown of bile and dissolves any other toxins in the body. Lemon also helps flush out the kidneys and colon of toxic that tends to build up, the perfect detox! Remember, our goal is to achieve balance in the body, and lemon is a great way to balance the pH levels. Lemons are packed with Vitamin C, which helps neutralize free radicals in the body and also boosts the immune system! It’s so easy to transform this elixir into a fun sumer cocktail – perfect for those warm summer evenings. Just pour 1 cup of the Rosemary Ginger Lemonade in a shaker with ice, add 1 oz vodka, gin or tequila and give it a good shake. Serve in a martini glass with a sprig of rosemary for garnish. Like your drinks on the rocks? Just pour lemonade over ice in a tumbler, top with our choice of liquor and garnish with rosemary, lemon slice or candied ginger. Relax, cool down and feel better about indulging in a cocktail (or two) with the added health benefits of this light, refreshing libation. Enjoy! Do you feel a cold coming on? 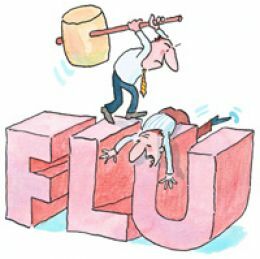 Everyone hates getting sick and let’s face it- none of us can afford to in our busy lives. Here are some of my favorite preventative measures to avoid getting sick this fall and winter. Herbal teas such as lemon, lavender and bergamot enhance the production of infection fighting white blood cells, know as leukocytes. I drink them plain or add lemon, honey and/or ginger for added benefits. Echinacea is also a great tea for fighting colds and pumping up that immune system. Green, white or black tea, which contain large amounts of antioxidants. Lots of garlic! Supplements or raw. Garlic is a great immune booster as well as an anti-inflammatory and anti-fungal. It also contains a sulfuric compound called allicin which produces powerful antioxidants. Fennel and anise seeds- cook with anise seeds or steep in tea, eat fennel cooked or raw in salads. They are both natural expectorants, which hell clear congestion in the chest and soothe a cough. Make some of my mineral broth to sip in throughout the day. This really boosts immunity and enhances vitality as well. ..and then there is the obvious immune boosters and all around nutrient-dense foods like leafy greens and veggies. Also, carrots, sweet potatoes and other foods containing beta-carotene, which is eventually converted to Vitamin A are great for the immune system. Be sure to get plenty of rest as well. Try to practice a few of these each day to stay healthy and avoid those annoying fall and winter sicknesses. What are some of your favorite immune boosting practices?